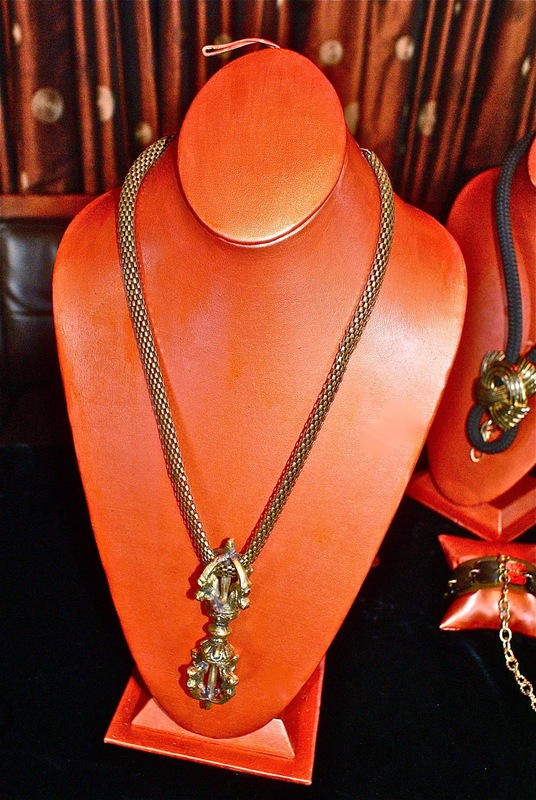 I came across a fab jewelry line during fashion week called RAJE. Designer Randy Luna's basically unisex collection has a definite Game of Thrones feeling. Bold brass neckpieces and bracelets call to mind the Middle Ages in a striking way. Personally I could live in his chunky leather and brass cuff but so could any of my make friends. This collection isn't for the shrinking violet and I loved it! Find Randy at www.rajestyles.com.